Can you believe it’s fall? I think it came pretty quick. The trees in the mountains surrounding our home are ablaze in reds, yellows and oranges. It’s quite the site to see. I grew up in Oakland, CA and we didn’t get the seasons like we do here in Utah. I love this time of year! Even though it’s chilly outside, our grill is still getting a workout. We are so not ready to cover it up and in some ways, I think grilled foods on cold fall and winter nights just taste better for some reason. Call me crazy, but we’ll still light up that bad boy when there are two inches of snow on the ground. It was grilling night again and we wanted burgers. Since I’m still not ready to let go of summer, I wanted something lighter and I wanted something that said “tropical.” This tangy pineapple burger sure did the trick!! Meaty, tangy and juicy it was incredible. This tangy pineapple burger has a pop of flavor with a twist. 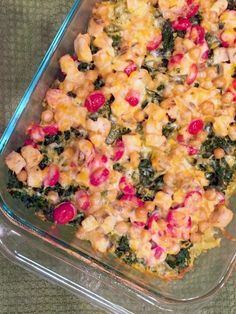 Perfect for a backyard barbecue or an easy weeknight meal. Substitute ground turkey for the beef to lighten it up a bit or add bacon for the carnivore lover in you. Mix the Brown Sugar, Teriyaki, honey and whiskey in a small bowl and set aside. Brush the pineapple lightly with the brown sugar mix and place them on the grill by the burgers. Heat the olive oil in a saucepan and add the onions. Cook until onions have softened a bit. Add the mushrooms and cook until soft. Add the remaining brown sugar sauce and simmer until the burgers are done. 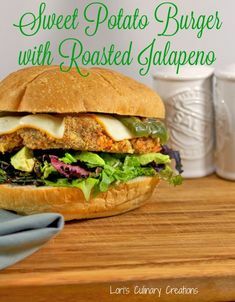 The great thing about this is it’s taste of course, but also that you can substitute turkey or even use a veggie patty for those that prefer their burgers meatless. I love the snappy crunch of the fresh pineapple there with the burger. We chose to have ours bunless, but if you want a bun with it, go for it…. just don’t forget the napkins! This is one juicy and tangy pineapple burger. LOVE pineapple on burgers. This looks so good! I’ve never had pineapple on a burger before. I must try this. I did have grilled pineapple after you had it on another recipe though. It was so good. We live in Idaho and use our grill year round. Some things just taste better cooked on a grill. Kathleen C recently posted…Author Kristine Goodfellow Books Giveaway!! These look absolutely scrumptious, pineapple on a burger would be SO good! Grilling is never out of season! This burger sounds delicious. Pineapple is so good on anything. Thanks for sharing at All Things Pretty.